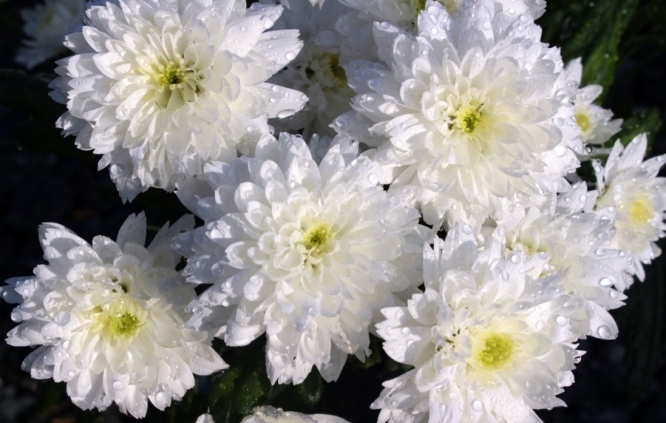 Have you ever wondered why chrysanthemum flowers are the traditional symbol of the November Toussaint holiday in France, despite also being known as the “flowers of the dead”? This rather odd juxtaposition is actually due to the flowers’ unusual seasonal pattern: they are one of the only flowers still in bloom in November, explains French newspaper Le Monde. Records show that this led to the flowers being used to adorn cemeteries during the winter saints’ festival, Toussaint - celebrated on November 1 or 2, depending on the type of Catholicism - which led to the blooms being seen as symbols both of the saint's day, and of the dead. Similarly, the flowers gained in popularity after the First World War, when they began to be used to decorate the tombs of the millions of dead soldiers, particularly around winter time, which strengthened the link to the dead even further. As for Toussaint, it was not originally a biblical festival, with neither the Old nor the New Testament in the Bible mentioning it. Records are said to show that the first mention of Toussaint was made in the fifth century, when it was thought to have been created in Rome by Pope Boniface, as a time to transport relics of martyrs into the city’s catacombs [underground burial grounds]. It was not until the early 20th century that Pope Pius X officially made the festival of Toussaint part of the Catholic festival calendar.